Eastern Libyan forces loyal to Libyan commander Khalifa Haftar captured the closed El Sharara oilfield, officials said in a challenge to the Tripoli government. El Sharara was taken over on December 8 by tribesmen, armed protesters and state guards demanding salaries and development funds. Some tribesmen demanding development funds remained at the 315,000 barrel-per-day oilfield, a protest leader told Reuters. 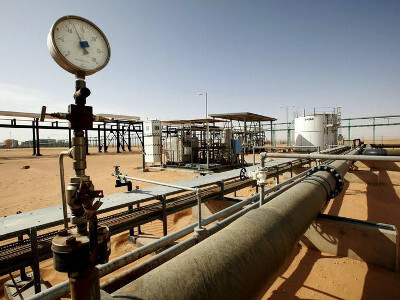 Haftar’s Libyan National Army (LNA) group, based in the east, called oil firm NOC to lift force majeure, a contractual waiver, it declared when it shut down production. The LNA said it met no resistance. “Our forces arrived safely at the field,” a spokesman for the forces, Ahmed Mismari, told a news conference in Benghazi. A tribal protest leader told Reuters: “With the army (LNA) we can find understanding as they are military people.” He did not elaborate. Libya’s oil industry has faced disruption since unrest began, with rival power centres in the west and east. Protesters and armed groups target oilfields and energy infrastructure. Haftar is a dominant figure in the east where his LNA seized the second-largest city Benghazi in 2017 expelling Islamist and other fighters. Last month, his forces started an offensive in the south to fight militants and secure oilfields and on Wednesday made good by moving into the El Sharara field. A video posted online showed jubilant soldiers at the oilfield located deep in Libya’s south and previously belonged to the Tripoli-based internationally recognised government. A Tripoli official, asking not to be named, acknowledged the LNA was holding El Sharara. He declined further comment and there was no statement from the Tripoli government. Tripoli earlier appointed a military commander for the main southern city Sabha and there were unconfirmed reports Tripoli would dispatch a force to secure El Sharara. Haftar’s forces are allied to a parallel administration based in eastern Libya. NOC is based in Tripoli, in the west.